and the Foundation secured the services of a distinguished "hierolinguist" , Mr. Paulo Stekel, who also happens to be an expert on another controversial script, Glozel, which he claims to have deciphered. At the request of the Ministry of Culture, a team of archaeologists from the Museum of Sarajevo visited the site in April 2007, but were refused access to the various "artefacts" - including the "proto-alphabet" - discovered by the Foundation. Nadija Nukic, a geologist who did some work for the Foundation in 2006, told Robert Schoch and Colette Dowell that, during one of the visits that she had made to the tunnel, certain symbols were not present. In a letter dated 1st September 2006, Ms. Nukic also made a point of informing the Board of Directors of the Foundation of this fact. "On one of the stone blocks", she wrote, "one or more people have cut signs (for example, an arrow, the letters E, V; then, at the time of my last visit to that part of the tunnel, on 3rd August, there were new signs, such as the letter M, and others." On 30th October 2007, in an interview with the magazine BHDani, Ms Nukic confirmed that some of the symbols were in fact the work of one of the miners employed by the Foundation: a man named Ensad Husic. Despite the presence of so many anomalies and unanswered questions, the Foundation doggedly maintains its belief that the symbols in the Ravne tunnel are "prehistoric writing", and intends that this should form one of the principal subjects of the "International Scientific Conference" (en) being organized in August 2008 in Sarajevo: "Age-dating and the deciphering of prehistoric writings, including European symbols and the research of embryonic “Proto-Script Visoko” found in the Bosnian Valley of the pyramids." Anyone who wants to know more should read Dr. Dowell’s article, paying particular attention to a series of photos of the well known megalith. Although they quite clearly show certain symbols (the same ones whose photographs the Foundation has been circulating), it is equally obvious that the distribution of the various symbols on the surface of the rock is much sparser and more diffuse than one might be led to think from Muris Osmanagic’s illustrations. "At the time of the initial investigation, on the first of April, 2006, the mining group discovered at two places some twenty meters apart, at 233 m. and 260 m. from the entrance, two stone slabs which were protruding only some ten centimeters from the wall. In consultation with the project manager, it was decided that they should begin carefully to dig these out. By the end of April these slabs had been dug out, and one of them was reinforced with mining supports. When they had been exposed and partially cleaned, on April 29, 2006, the five participants in this historic finding were able to see with their own eyes a number of unfamiliar symbols, as parts of some old system of writing, with a deeply engraved arrow at the far end of the first megalith, which we named T-1. 5. Islam Cero, photographer from Sarajevo and volunteer assistant to Prof. Osmanagic. 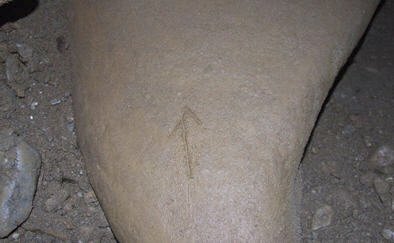 Dr. Aly Barakat was the first to notice the engraved arrow and the first few groups of unknown symbols. 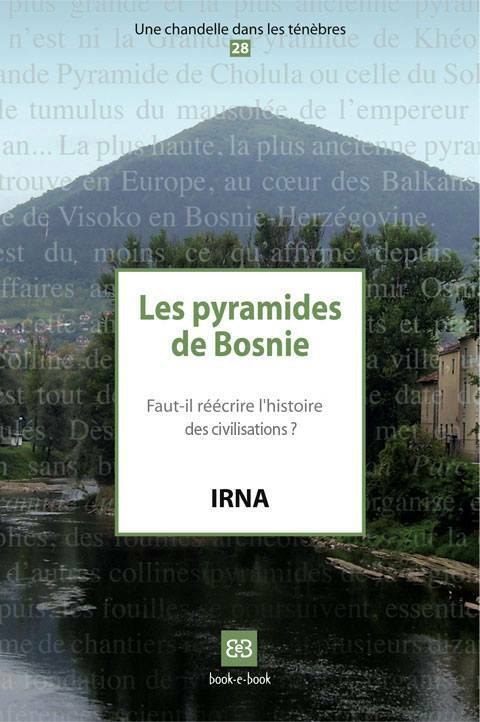 We were thrilled to hear him quietly pronounce: “What we have here are the first symbols of Bosnian writing from pre-history.”"
The paper therefore leaves no doubt about the circumstances surrounding the discovery. It took place on 29th April 2006, in the presence of the five people whose names are listed by Muris Osmanagic, and Dr. Barakat was the first to note the presence of the symbols which, according to Osmanagic Sr., he described as "prehistoric". The same information appears in a document dated 9th December 2007 (bs) , published on the Bosnian Pyramid Foundation site on 13th December 2007. This was written in response to the accusations levelled by Nadija Nukic and BHDani magazine concerning the symbols. 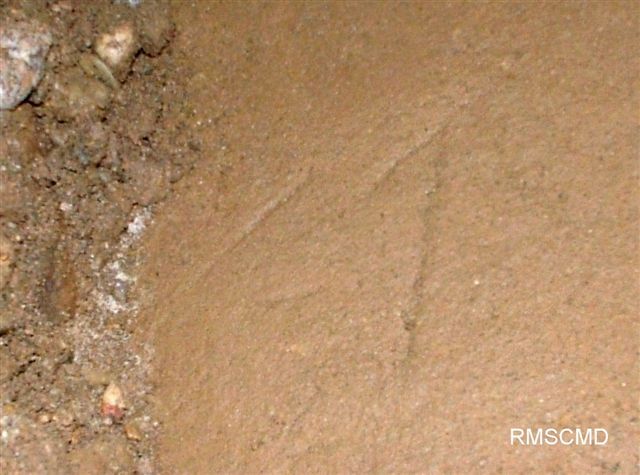 It is in the form of an official witness statement, in which four of the people mentioned earlier as witnesses to the discovery, together with a fifth (Enes Hasic), confirm that, on 29th April 2006, Dr. Barakat was the first person to notice the arrow and other prehistoric symbols. The same events are also described on page 22 of a third document, the "Multidisciplinary Research Project" (bs), published in February 2007 . The first inconsistency concerns the people who were actually present on the day of the discovery. 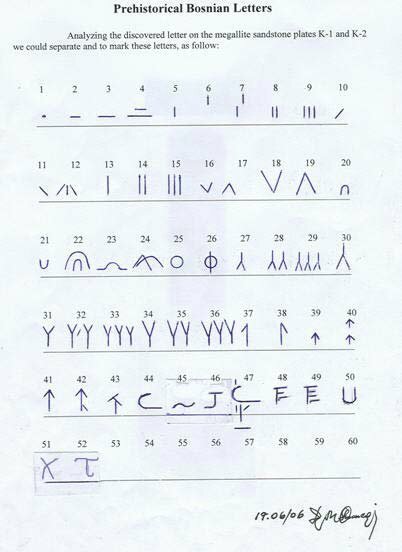 Another document, written by Ensad Husic (the miner who, according to Nadija Nukic and BHDani, had cut the symbols on the stone "for a joke"), states that he, along with other miners, was present at the very moment when Dr. Barakat discovered the symbols: "It wasn’t until the very end of our working assignment that we found that block in question, and that was when it was cleaned. It was cleaned by Dr. Aly Barakat, the miners, including myself and my colleagues." Interestingly, Ensad Husic is not mentioned by Muris Osmanagic as one of the five people who witnessed the discovery. More embarrassing still is the statement that Dr. Barakat did not arrive in Visoko until 15th May 2006 (bs)! Exactly how, then, was the Egyptian geologist meant to have discovered the rock symbols on 29th April of that year? Are we to suppose that there was some kind of mistake about the date – a mistake repeated not twice, but three times, given that "29th April" is mentioned in at least three different documents? Could the symbols actually have been discovered on 29th May while Dr. Barakat was present? But the existence of the rock symbols was first mentioned on 22nd May by Muris Osmanagic at a press conference in Sarajevo (bs). So does this mean that there was a mistake, not only about the month, but also about the day of the month? Such errors might creep through on the "Abandon sanity all ye who enter here" section of the Foundation website where Muris Osmanagic published his paper on the discovery of the T1 monolith. But, if their presence in an official report published by the Foundation is a major embarrassment, their inclusion in an official statement is even more disconcerting. 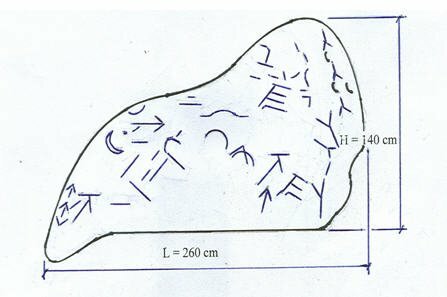 What reliance can be placed on the testimony of individuals arguing for the authenticity of the rock symbols, when the document itself contains such a glaring error? And what conclusions are to be drawn from this litany of discrepancies ? Only Dr. Barakat is in a position to confirm (as I hope that he will do one day) whether he was, or was not, present at the discovery of the rock symbols, and on what date this discovery took place. The fact remains that Dr. Dowell has identified a glaring contradiction which, at best, is proof positive of the Foundation’s amateurish attitude and lack of responsibility, and, at worst, is indicative of some trickery somewhere. Don’t bother looking up a dictionary definition for this discipline; Mr. Stekel is its inventor and sole practitioner, orthodox science being too hidebound to accord it any recognition. The journalist Vuk Bacanovic, of BHDani magazine, succeeded in obtaining a copy of this correspondence, from which he published some extracts (see the translation of his article). Most of the documents have disappeared from the Foundation site - whether deliberately, or simply by accident, it is not known; so that I join a copy below the article for the interested reader.